Maryland House Speaker Michael Busch, the longest-serving speaker in the state's history, died Sunday at 72 after a battle with pneumonia. Busch said last week he had developed pneumonia after a followup health procedure to his 2017 liver transplant. But after his condition worsened, he was placed on a ventilator, his chief of staff said. "This is a profoundly sad day for Maryland," Gov. Larry Hogan said in a statement Sunday. "He cared deeply about improving the lives of Marylanders, and his legacy is evident in his many legislative achievements." Hogan said he ordered Maryland flags to fly at half-staff Sunday until the day Busch is interred. "On behalf of all Marylanders, the First Lady and I extend our heartfelt condolences to the Speaker’s wife, Cindy, their daughters, Erin and Megan, and all of his colleagues. He was raised in Annapolis, he represented Annapolis, and he will forever be remembered here,” Hogan said. Busch, a champion of the Chesapeake Bay and progressive causes during his tenure as Maryland's Democratic House speaker, fought for the environment up until the end of his life. His environmental policies were especially high-profile in his final days as he sponsored a bill to permanently protect five oyster sanctuaries under Maryland law. The measure drew a veto from Hogan, but the House overrode the veto Friday, and the Senate was expected to vote on an override Monday, the last day of the legislative session. Maryland Senate President Thomas V. Mike Miller, the longest-serving Senate president in the state's history, said Busch was a model state delegate who cared for every corner of the state. Busch was first elected to the House in 1986. His district included the state capital of Annapolis, making him a frequent presence in the State House, even when the General Assembly wasn't in session. "That was ingrained in me from my grandparents to my parents and through the '60s,'' he told The Associated Press in 2002. At the time, he recalled two pictures on his grandparents' mantel: Jesus and Franklin D. Roosevelt. Both sets of grandparents "believed that Roosevelt gave average people a piece of the American dream," he said. "I really believe government is there to give people opportunity." 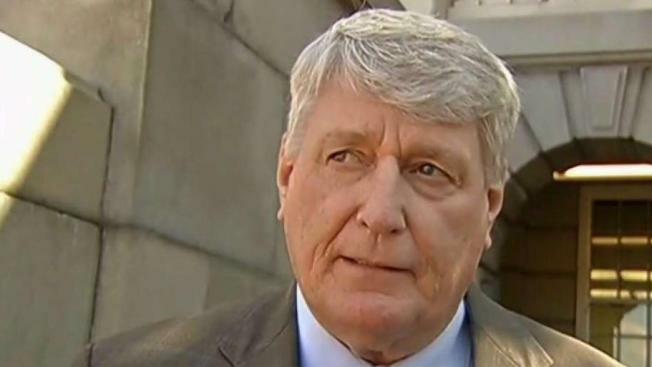 "My heart is broken for Mike Busch's family, the State of Maryland, and the Speaker's extended family - elected officials and staff that he has been a mentor and coach to over his time in public service,'' Miller, a Democrat who has been battling prostate cancer, said. "Mike has been a friend for years, and has led the state to new heights of environmentalism and education.'" Maryland Attorney General Brian E. Frosh praised Busch as "an exemplar of what public service is about." "He was honest, selfless, intelligent and giving. He represents the best that democracy has to offer. Our State owes him a debt of gratitude," Frosh wrote in a statement. This is a profoundly sad day for Maryland. Mike Busch was a giant in our government—the longest serving Speaker in our state’s history. He cared deeply about improving the lives of Marylanders, and his legacy is evident in his many legislative achievements. We have lost a dear friend and our hearts are broken while we mourn with his wife, his family, and his dedicated staff at the State Capitol. Maryland's two senators also expressed their condolences Sunday. Sen. Chris Van Hollen (D-Md.) called Busch a "titan of unstinting character" who will be missed. "Maryland has lost one of her greatest champions today. And I have lost a dear friend and former colleague," Van Hollen wrote in a statement. "Even when his health was declining, he was known to walk the halls of the State House whistling and singing. That's just the type of person he was: full of life even during the most difficult times." And Sen. Ben Cardin (D-Md.) said Busch "left a progressive imprint on the state that without hyperbole will last for generations." "For me, and for Myrna, the loss is intensely personal," Cardin said on Twitter. Busch released a statement about his pneumonia diagnosis last week after he was absent from presiding over legislative sessions last week. The speaker said he had started feeling run down after a Democratic Caucus meeting the week before. He said that he had hoped to be back before the end of the legislative session at midnight Monday but that "doctors have advised caution during my recovery." On Saturday, doctors at University of Maryland Medical Center determined that Busch's breathing "had taken a significant turn for the worse," his chief of staff said in a statement Sunday morning. Busch made the decision to use a ventilator to help his breathing. "His family asks for privacy at this time and to keep the Speaker in your thoughts and prayers," the statement concluded. In addition to a liver transplant in 2017, Busch had bypass surgery last year.